Is it Called the Czech Republic or Czechia? The term "Czechia" is the official English-language name, although it is hardly used. 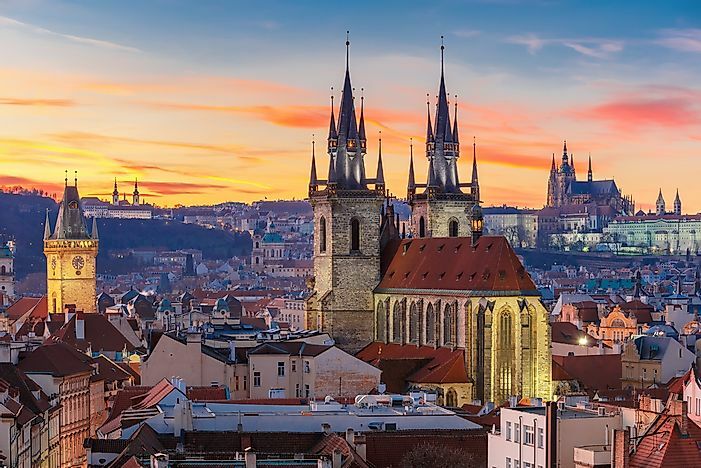 Prague, the capital of Czechia. Is it the Czech Republic or Czechia? The exact name of the country commonly known as the Czech Republic has changed a number of times throughout its lifespan. When Czechoslovakia was dissolved in 1993, the term "Czech Republic" (Czech: Česká republika) was chosen to describe the state. In the past, other shorter words such as Čechy had been rejected, as they were not seen as an inclusive term by those residing outside of the area of the country known as Bohemia. The Czech term Česko has been used for quite some time as a short form of saying the Czech Republic. Czechia is simply the English translation of this short form. Contrary to popular belief, "Czechia" is not in fact a new word. The first use of the Latin form Czechia was in 1841 followed by subsequent uses in 1856 and 1866. The use of Czechia was recommended by an official Czech body in 1993 after the dissolution of Ceskoslovakia. However, the term Czechia has not historically been supportive by authorities. Some criticized the sound of the name while others argued that it was not inclusive to people in Moravia and the Silesia. There have been strides made in the quest to confirm Czechia as the official short form name. On April 14, 2016, Czechia was adopted as the official short name of the country. It entered into the United Nations UNTERM and UNGEGN databases on July 5, 2016. Maps on Google showing the Czech Republic were replaced with Czechia instead in January 2017. The term Czechia is intended to stand in for the Czech Republic in the same way that "Britain" is to "Great Britain" and "Ireland" is to the "Republic of Ireland". It is unclear how strongly the name will catch on in the near future.